It may seem like a classic overshare, but I recently had a brief (but torrid) romance with a slow cooker that I bought online. Alas it really didn’t end well, but in the three and a half days we were together we did manage to make one great thing – pulled pork. Ah, pulled pork, how we all love thee. Arguably the reigning darling of the slow cooking movement, pulled pork is America’s Deep South’s gift to the culinary world. Traditionally slow-cooked and smoked for hours on a barbeque, pulled pork can in fact be cooked in a number of ways including in a slow cooker or even in a conventional oven. I’ve only ever made pulled pork in a slow cooker and its always turned out great, but no matter which method you favour the key word is always SLOW – there is simply no rushing pulled pork. Although most commonly made with a shoulder of pork, recipes for pulled pork vary wildly from region to region and state to state. Many recipes use a dry rub before cooking, whilst some just use a ‘wet’ recipe where a BBQ sauce is simply slavered over the meat before it’s cooked. Personally I prefer the dry rub method as it most definitely adds more flavour and complexity to the final dish. I also like to leave the skin on the pork as it just offers that extra assurance that the meat won’t dry out – simply peel it off and throw away once the pork is done. When it comes to the actual “pulling” of the pork many recipes suggest using a couple of forks, but I like to get in there and use my hands. It may be a whole lot messier, but doing it by hand gives you more control over the texture of the pork and it makes it easier to identify any fat or gristle that you may want to remove. Unsurprisingly, when it comes to serving pulled pork I’m a bit of a traditionalist – it can be served with any type of white bread (any burger bun, bap, pita or pretzel will do), but it should always come with a generous heap of coleslaw on the side (I’m obsessed with Asian Coleslaw at the moment) as well as some extra BBQ sauce. It may not be considered the most exciting meal these days, but lasagne will forever be a dish close to my heart. Believe it or not I was a painfully fussy eater when I was a child and lasagne was one of the few dishes I really enjoyed. Fuelled by an unhealthy affinity with Garfield the Cat, my youthful appetite for lasagne was as insatiable as that of the grumpy ginger feline himself! Whenever my mother asked what I wanted to have for a special occasion the answer was always the same: lasagne, lasagne, lasagne! In a world obsessed with carb-cutting, the humble lasagne has become somewhat of a relic of family style cooking – a dish that your good old mum would make because she doesn’t know any better or hasn’t bought a new cookbook since 1985. 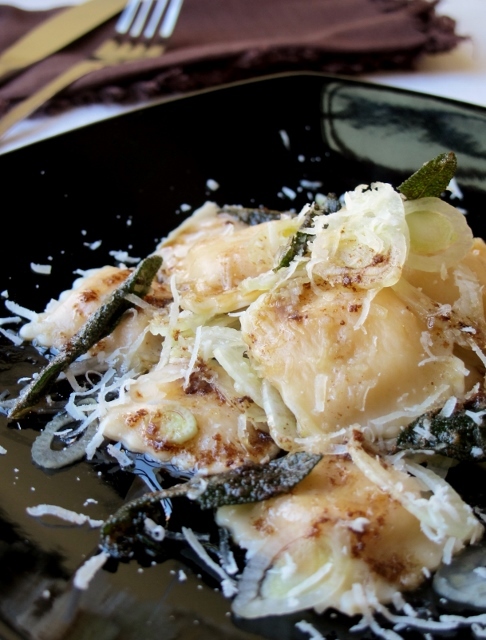 A crying shame really, as this oven-baked Italian classic is a victim of its own popularity. Much like the equally misunderstood and shamelessly corrupted Spaghetti Bolognese, lasagne is in fact a dish of noble proportion and should be appreciated as such. Made well and with love, lasagne is truly a paragon of pasta perfection. Rich and layered, lasagne is to food what a hot water bottle is to a winter’s bed: the ultimate comfort. To build the perfect lasagne each layer must be generous and distinct, a balanced ménage à trois of punchy ragu (meat sauce), cheesy béchamel sauce and silky pasta. Lasagne also needs time to rest before serving. Allowing it to cool down will afford each layer the opportunity to solidify its presence in the overall dish and not be overwhelmed by the molten maelstrom of flavour that is a lasagne immediately after it’s taken out of the oven. At least half an hour is needed for everything to cool down although a couple of hours would be better, but overnight in the fridge would be ideal. Lasagne reheats wonderfully in the microwave in just a few minutes or in an oven (covered in foil) at 180°C for about 15 minutes. 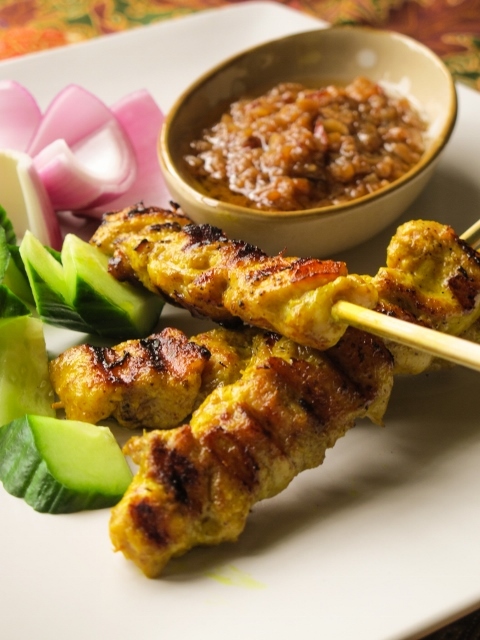 A childhood favourite of mine, sate is a true South East Asian classic. Perhaps the ultimate skewered meat treat, sate is often considered more of a snack than an actual meal in itself and is typically ordered as a side dish or “starter”. 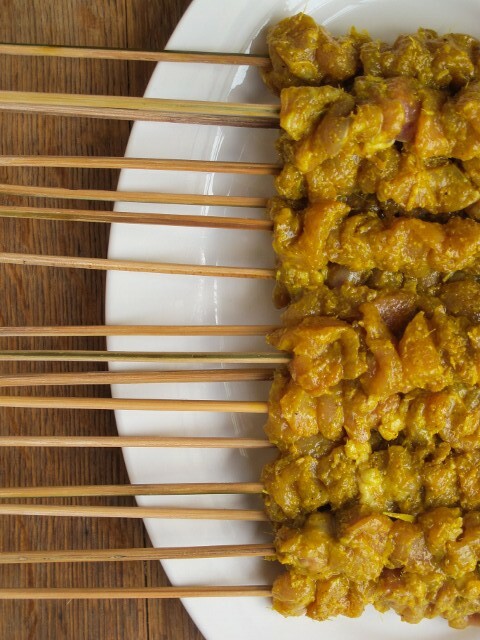 Sate is also a popular option for young children as the meat is sweet and irresistibly flavoured, without being too spicy – great for fussy eaters! 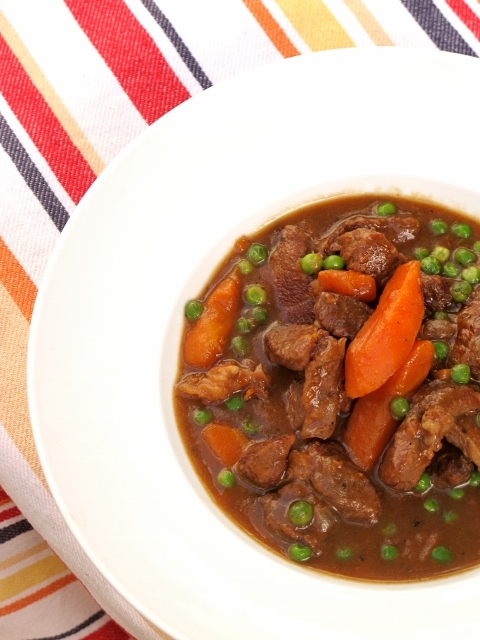 Whilst beef and chicken are by far the most popular varieties of sate, the use of mutton and goat meat is not entirely uncommon. Personally, I’ve always preferred chicken sate over beef, as it seems to fare better over the hot coals and the inherent blandness of chicken seems to marry better with the flavours of the marinade. Also at least you know what you are getting with chicken (for the most part anyway). The daging (i.e. 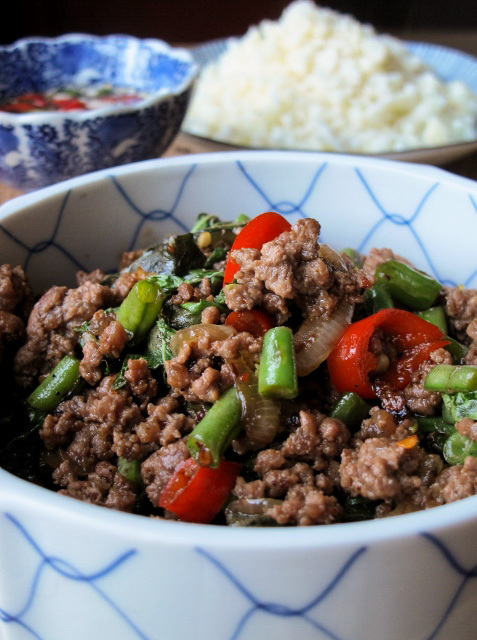 meat) version of sate is, by definition, a tad ambiguous and there have just been too many scandals where meat of a dubious nature has been passed off as beef. Trust me, stick to the chicken lest you are partial to the odd bit of horse meat. At any rate, it turns out that making a decent stick of chicken sate at home is actually pretty damn hard! 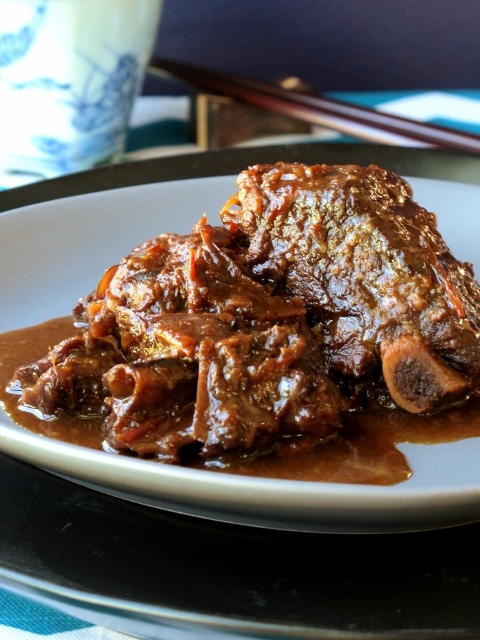 It isn’t that the recipe itself is particularly complicated or that the main ingredients are impossible to source, the problem lies in recreating the way the sate is actually cooked. Expertly grilled over searing hot coals on a specially designed oblong barbecue and basted with a brush made of lemongrass, the real deal is nothing short of chargrilled-perfection! After many attempts at recreating the optimal cooking environment for sate, I must confess that I still haven’t got it quite right. Alas sometimes you just need to say “c‘est la vie” and except that perfection isn’t always an option when recreating your favourite dishes. Luckily, however, sate doesn’t have to be perfect to still be pretty damn amazing and totally worth making! Firstly, soak your bamboo sticks overnight otherwise they will burn and break off. Make sure the sticks are completely submerged in the water, I use a tall bottle with a stopper to soak mine in. Secondly, marinate your meat overnight in the fridge – your sate will be all the better for your patience. Finally, make a basting brush out of the outer skins of the lemongrass; it may seem a tad over-involved to go to such extremes, but it’s worth it. To make the brush, simply shred the reserved lemongrass lengthwise and then tie at the top with some kitchen string. Give the “brush” a very light bash with a meat mallet just before using. I’m not sure many people can say this, but I owe my sanity to aloo mutter…or at least my sanity in India anyway. Travel has always been a huge part of our lives. From Tokyo to Kathmandu, down to Ushuaia and all the way back up to Kirkenes, we are blessed to have trampled the globe together. For me our travels have always been synonymous with seeking out new food experiences. For my flavourphobic partner, however, the mere notion of culinary-tourism is unpalatable. In spite of being the most well travelled person I’ve ever met, my partner holds scant regard for sampling foreign flavours in foreign climes. This is, after all, a man who ate nowt but Big Macs in Beijing, Whoopers in Bergen, doner kebabs in Florence…and then there was India. A land defined by fierce fragrances, earthy hygiene and spicy flavours; India is a culinary destination that should strike fear in the hearts of even the bravest of world travelers, let alone those of limited culinary bravado i.e. ‘you know who’…or so you would think. Little did I know that, culinarily speaking, the sub-continent would prove to be one place in the world the Flavourphobe would have no problem finding something to eat – all thanks to aloo mutter! Who knew a man could almost exclusively live on peas and potatoes for a month, but that he did. With the exception of the occasional aloo gobi, he had it in the South, he had it in the North, he even had it somewhere in the middle and he loved it every single time…but not as much as I did! No one was happier than I when we saw aloo mutter on the evening’s menu; not because I wanted to eat it myself, but rather because it meant we could actually enjoy a meal together whilst on holiday! For the first time on our travels I had been spared our usual dinner-time routine of depositing him at the nearest KFC whilst I sampled the local delights on my lonesome. At last, we could eat at the same restaurant every day. What travel bliss! Indeed what a privilege! So did aloo mutter prove to be that watershed moment when he would finally open his taste buds to the favours of the world? Hah, don’t make me laugh. With the exception of Japanese Curry, his culinary ‘awakening’ was as short-lived as our time in India. Soon enough we were back to traveling together, but eating apart. Alas, the dream couldn’t last forever and the aloo mutter bubble had to burst at some stage. We will, however, always have dear Mother India and the days she granted us the simple pleasure of enjoying a meal, together. Oh…did I forget to mention that aloo mutter is also incredibly delicious and cheap to make? 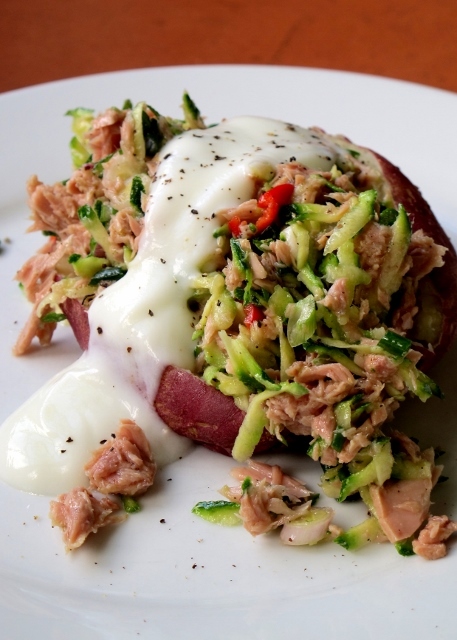 Don’t just take my partner’s word for it, it really is possibly the best way to jazz up a couple of potatoes and those long-forgotten peas at the back of the freezer! Aloo mutter is definitely a worthy addition to any Indian meal.